Welcome to Hi On Life Adventures! Chitwan, meaning ‘Heart of the Jungle’, is one of the best wildlife-viewing national parks in Asia. It is listed in as a World Heritage site and this wildlife reserve protects over 932 sq km of forests, marshland and rippling grassland, and is home to sizeable wildlife populations. This reserve offers an excellent chance of spotting one-horned rhinos, deer, monkeys and up to 544 species of birds. There are occasional sightings of leopards, wild elephants and sloth bears. Although it’s a once-in-a-lifetime chance to spot a majestic royal Bengal tiger, it is the whole ambience that attracts people in their droves. With luxury lodges located on the edge of the park away from the crowds at Sauraha, and plenty of jungle activities, and Elephant Safari this is a perfect place to chill out or end your trek/ expeditions if you have some extra days in Nepal. We offer a 2 night/ 3 day and a 3 night/ 4 day packages. Briefing about our resort & its facilities. Sighting an Asian Rhino on an elephant safari. Anything from the bar and extra tea/coffee outside of normal meal times. Optional tips to the lodge staff and driver. Please fill up below form for Trip Price inquire. Our grading are based on various factors such as length of trek and walking day, trail conditions, maximum altitude and average altitude, elevation gain/loss per day, prevailing weather conditions, temperature range, remoteness and general level of comfort. 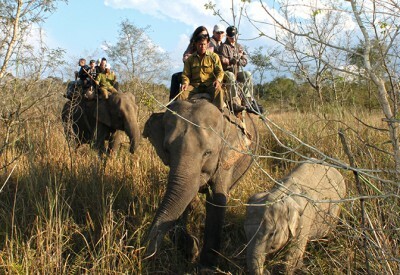 These adventure tours are our least demanding trips suitable for people with a basic level of fitness and good health. These trips may involve long drives usually on private transport. Sightseeing trips are conducted on foot. The itinerary may also take you to remote places with basic lodging facilities and may also involve a day or two of hiking. We expect you to carry a small back pack weighing about 4 to 5 kgs. Recommended preparation: Walking on undulating terrain for an hour, for at least 2-3 months prior to departure. 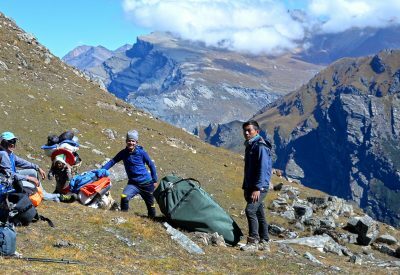 These adventures involve trekking between 7 to 10 days in remote areas where facilities are often basic. These trips involve some camping or basic lodging. 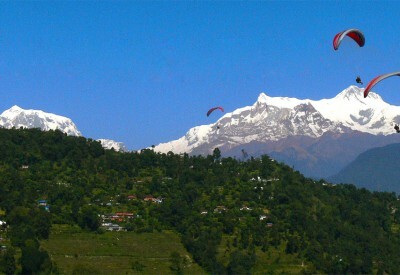 The trekking days are often between 3 to 6 hours of walking each day on good trails with plenty of time for sightseeing. The itineraries often include 1 or 2 rest days. The trails are generally well defined and relatively easy, but it doesn’t mean it will be a walk in the park. 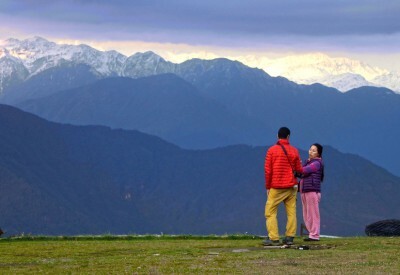 In the Himalayas, flat trail are extremely rare sights, so there will be plenty of ascents and descents on rocky terrains and often on stony steps. The altitudes are moderate and rarely go above 3800m. The average daily ascents and descents will be about 300m to 400m with perhaps an odd day ascending/ descending about 800m. There are no extremes of weather and the daytime temperatures generally do not get lower than 5C with exceptional cases during bad weather when it can get down to 0C. Recommended preparation: Walking or jogging 45 mins to 1 hour for at least two times a week on undulating terrain or on a tread mill with inclined angle for at least 3 months prior to departure. These treks are slightly more difficult. Our moderate treks are between 11 to 15 days in remote areas with camping or basic lodging. The trekking days are often between 4 to 7 hours of walking each day on good trails with plenty of time for sightseeing. The itineraries often include 1 or 2 rest days. The trails are generally well defined but with plenty of ascents and descents on rocky terrains and often on stony steps. The altitudes are moderate and rarely go above 4500m. The average daily ascents and descents will be about 300m to 500m with occasional harder days ascending/ descending about 800m. There are no extremes of weather and the daytime temperatures generally do not get lower than 5C with exceptional cases during bad weather when it can get down to -5C. 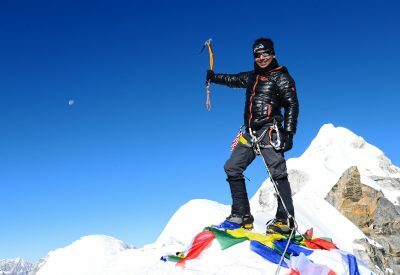 These adventures are more challenging and remote and with altitudes up to 5600m. 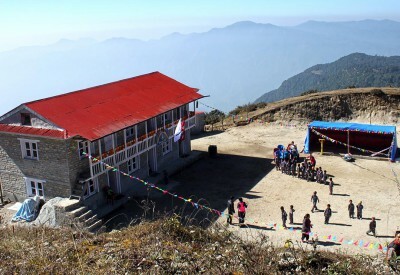 Our challenging treks are between 13 to 24 days in remote areas with camping or basic lodging. The trekking days are often between 5 to 7 hours of walking each day with some days involving crossing a pass with up to 10 hours walking. Generally the trails are well defined, but there will be days which involve climbing steep rocky terrains at high altitudes and crossing icy and rocky glaciers in harsh weather conditions. The average daily ascents and descents will be about 300m to 500m with a few harder days ascending/ descending about 1000m. The itineraries often include rest days after such big ascents. Temperatures can get below Zero in the daytime at high altitudes and can fall down to -10C at night. Recommended preparation: Stamina is essential, as walking days are long. We recommend previous trekking experience, preferably at altitude. Walking or jogging 45 mins to 1 hour for at least two times a week on undulating terrain or on a tread mill with inclined angle for at least 3 months prior to departure. Cycling is recommended. Long day hikes on weekends with a daypack in variable weather conditions is also recommended. A realistically chosen trip maximizes both your enjoyment of the experience, as well as your chances of summit success. Selection of a trip that is beyond your ability could result in uncomfortable experiences. You might end up having the leader not taking you on the climb for your own safety and for the safety of the other team members. Therefore to let you make a more realistic selection of your mountain, we have categorized each mountain into 2 tired grading systems which describes the technical difficulty (I-V) and fitness (A-E) required for each expedition. I Straightforward climbing/ scrambling on low angle snow/ rocks. Previous climbing experience is not essential. No ropes required. II Involves glacial travel on ropes with ice axe and crampons. Previous experience of Ice axe and crampon comes in handy but not a compulsory. III Involves ice climbing on short sections of snow or ice up to about 50 degrees. Previous snow/ ice climbing experience are essential. IV Good all-round climbing ability required. Involves low grade rock climbing and long, steep snow and ice slopes over 50 degrees. V Difficult climbing on very steep ice or technically difficult rock. 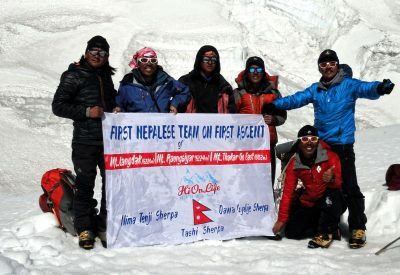 It is suitable only for competent and experienced mountaineers who have successfully summited technical mountains above 6000m. A Good basic fitness required. Ability to walk 6 to 8 hour over undulating terrain with a few punchy uphill climbs carrying a pack up to 6kg in weight. B Good cardio-vascular fitness required. Regular training, by running, hiking and perhaps some gym work is essential. Expect to be able to do 8 hour days in hilly and often steep train, carrying a pack of 6-10kg in weight with the occasional extra-long day. C High level of fitness coupled with physical endurance required with regular training as part of your normal routine. Expect days of up to 8 hours and longer while carrying a pack up to 8-12kg in weight. Summit night could be easily in excess of 12 hours. D Superlative fitness is called for. Climbs of this grade are exceptionally strenuous and some weight loss is inevitable. Regular, long and intense physical training is required for preparation. Expect 10-15 hours of climbing in testing weather conditions (especially summit day) carrying up to 10-15kg in weight. E Extreme physical effort at extreme altitude which requires arduous preparation based on your experience of previous trips. You will be pushed physically to the limit and then beyond. 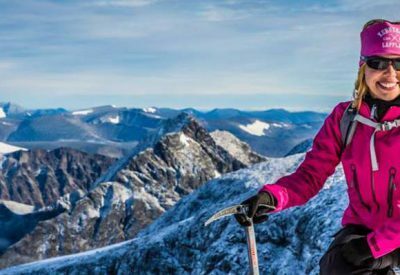 Be prepared for very long, sustained days with 10 – 12 hours on a regular basis and more than 15 hours on the summit day. Discomfort to achieve your goal is to be expected. If you need further help, please do not hesitate to contact us, who are happy to discuss which trips would be suitable for you. What are the booking procedures, terms and conditions? The following procedures, terms and conditions apply if you are joining one of our trip. At the bottom of each tour/trek/ expedition page that you wish to participate, you can click the link to book that trip and you will come to a page with instructions on how to book a trip with us. We will then send you an invoice for deposit payment of 250 USD, which is non-refundable. Once we receive this payment we will send you a confirmation on your reservation of the trip. The balance payment is to be made at least 45 days prior to departure, payable by bank account transfer. If the balance is not paid when due, Hi On Life Adventures reserves the right to regard the reservation as canceled. Exceptions to these policies cannot be made for any reason. However, if you wish to transfer from one trip to another, we are happy to assist you at no extra charge, provided that it is done before 60 days prior to the trip start date. Thereafter, our cancellation policy applies. Hi On Life Adventures reserves the right to cancel a trip for any reason. In such an instance, we will refund all payments received, which will be regarded as full settlement. If you have extra days in Nepal, you can book an extension.